A rich, round and fruity blend developing notes of toasted oak, vanilla and spices. 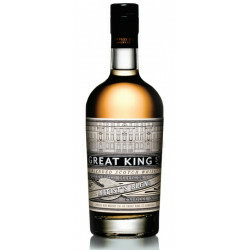 Named after the street where are located the head offices of Compass Box in Edinburgh, Scotland, Great King Street is a range of Blended Scotch whiskies reflecting the same philosophy of innovation and pursuit of quality that other whiskies of the brand. The best whiskies from the best distilleries. The best oak quality for an intense, unique complexity. A natural colour, without chill filtration. This Blend is rich, round, sweet and fruity with notes of toasted oak, vanilla and spices. 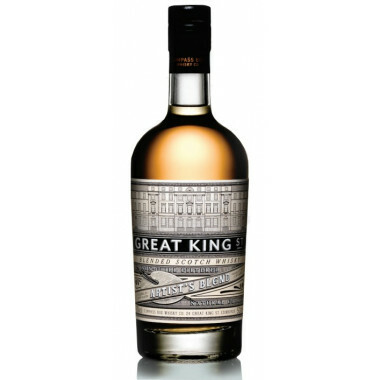 This Scottish whisky is made with 50% Single Malt and 50% of grain. 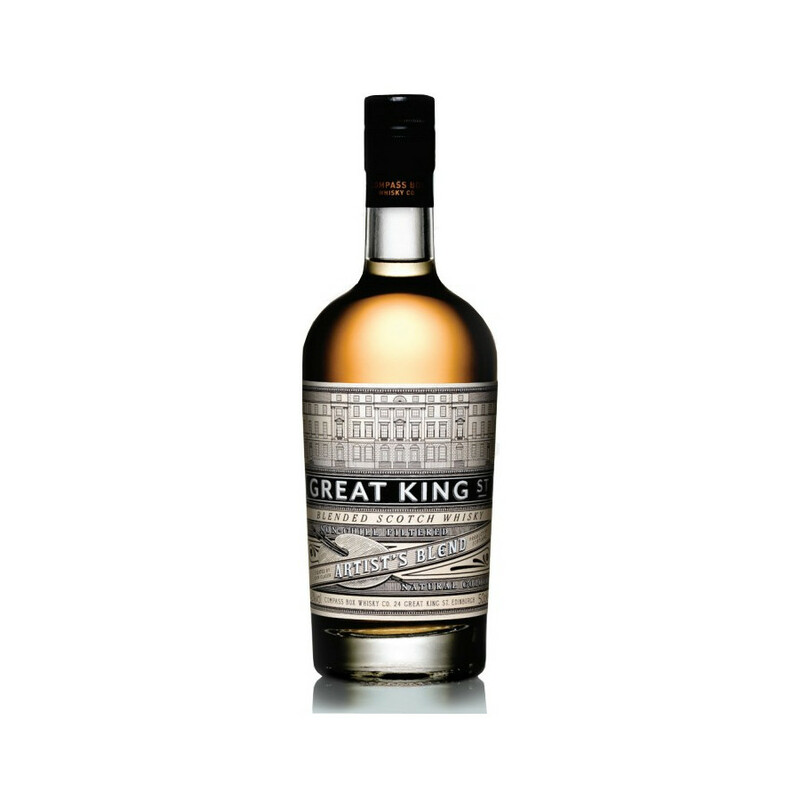 Lowlands grain whiskies (51%), fruity and scented. Highlands Single Malt (23%), malted and fruity. Northern Highland Single Malt (18%), herbal and fruity. Speyside Single Malt (8%), rich.